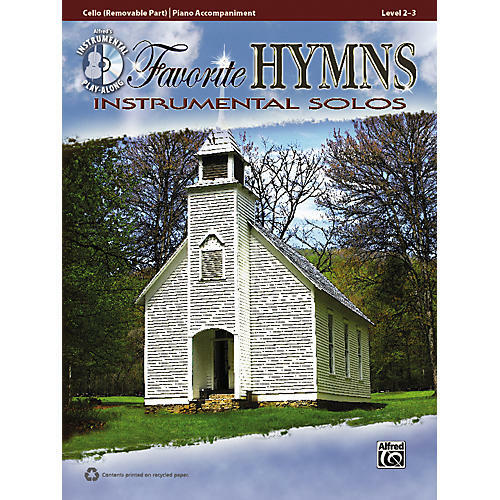 This collection includes 12 of the most popular and favorite hymns of all time. These beautifully crafted arrangements are fun to play and will be sure to please any audience or congregation. The arrangements are specifically designed for the level 2-3 wind or string player and contain a play-along CD. Titles: A Mighty Fortress Is Our God • All Creatures of Our God and King • Amazing Grace • Be Thou My Vision • Great Is Thy Faithfulness • His Eye Is on the Sparrow • Holy, Holy, Holy (Lord God Almighty) • How Great Thou Art • It Is Well with My Soul • Joyful, Joyful, We Adore Thee • O the Deep, Deep Love of Jesus • 'Tis So Sweet to Trust in Jesus.